The issue involved claims where the surviving spouse seeks permanent disability benefits according to the Maryland Workers’ Compensation Act. The claimant argued Pitsenberger v. Pitsenberger, to contend that spouses owe a legal obligation of support to one another by virtue of the marital tie. The claimant grabbed onto the notion that when enacting a statute pertaining to divorce and property disposition, the Maryland Legislature discussed each spouse’s duty to offer “best efforts” in a marriage. The employer pushed back on this interpretation, arguing that “best efforts” was intended by the court to be limited to the property disposition and alimony under the Marital Property Act Pitsenberger was addressing. 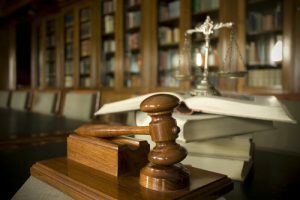 The Maryland Court of Special Appeals agreed the claimant should be able to recover. But the court, in an opinion by Judge Greene, found that the surviving spouse must either show dependency or evidence of a legal obligation of support that was owed to the surviving spouse by the decedent. Judge Adkins and Chief Judge Bell disagree, arguing that the court is looking through the wrong analytical looking glass. Instead of focusing on a spouse’s duty to provide support, the majority hones in on the surviving spouse’s right to receive support. Accordingly, the majority ignores Maryland law’s authority to enforce spousal support by criminalizing the willful failure to provide support. Under the dissent’s view, the claim should go to the trier of fact and that, if uncontroverted, Plaintiff’s testimony that he needed the disability payments should be enough. Not for nothing, as opposed to burning down all of these forests for the paper for this appeal, Walmart could have rolled over and let this poor claimant get the money. But Walmart does not roll like that.